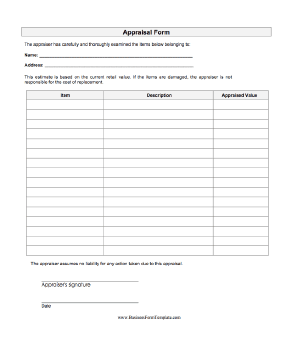 This form lets an appraiser list items and their corresponding appraised value. This estimate is based on the current retail value. If the items are damaged, the appraiser is not responsible for the cost of replacement. The appraiser assumes no liability for any action taken due to this appraisal.